Aquaman isn’t the man he used to be, literally! 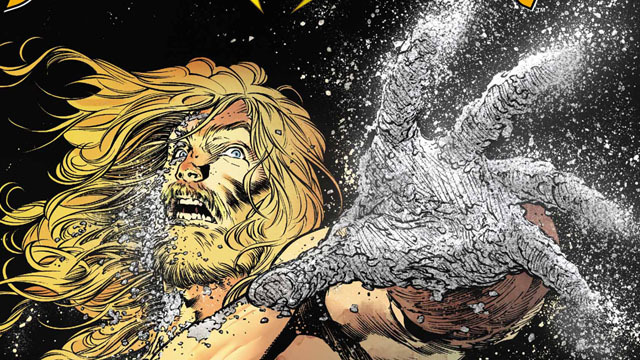 At the end of the “Drowned Earth” crossover, Arthur Curry seemingly sacrificed himself to save the world. He survived, but he no longer remembers his life as Arthur or Aquaman. In Kelly Sue Deconnick and Robson Rocha’s new Aquaman run, Arthur is now going by “Andy” while living on an island of forgotten ocean gods. Andy’s only friend is a young woman named Callie, and the elder gods have promised to restore Andy’s memories if he delivers Callie to her mother, Namma. You can read the full exclusive preview in our gallery below, including a variant cover by industry legend Esteban Maroto. 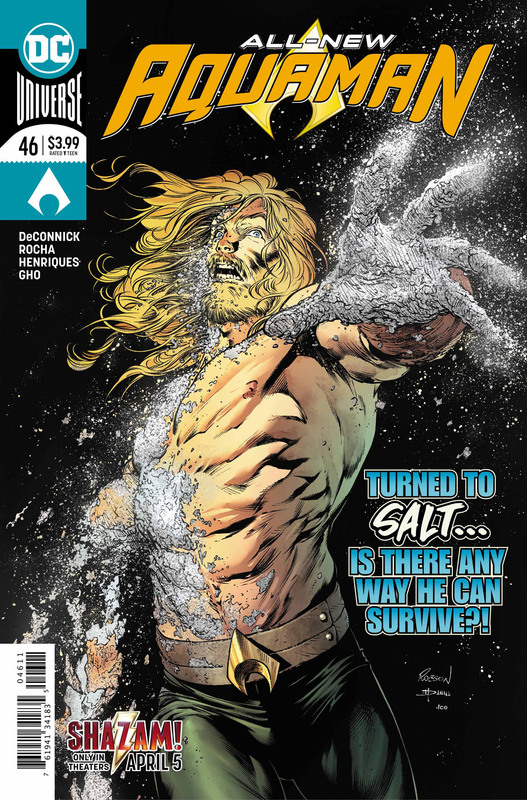 Aquaman #46 will hit comic shops on Wednesday, March 27. Let us know what you think in the comment section below!